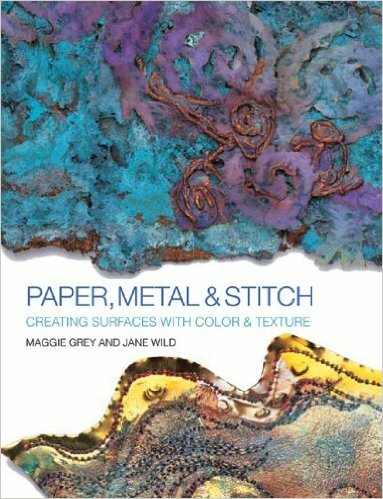 This timely project guide concentrates on two of the key materials being newly incorporated into textiles and fiber arts—paper and metal. Both media are covered in separate sections that describe the unique properties of each, as well as textural methods, adding color, and embellishing with stitches. Paper can be molded, formed, cut, torn, embossed, and stitched; metal adds a new gleam; and additional dimensions of the material are explored with soft sheet metals, meshes, wires, and coils. Concepts build through each section, starting with elemental embroidery and basic, texture-building steps, and moving to exciting finishing ideas for combining and mixing techniques for original and innovative results.